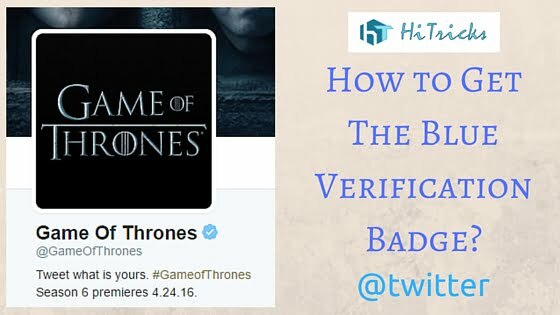 Home » Customization » Step by Step Tutorial: How to get Blue Verified Badge on Twitter? Good News for all. Social Networking giant Twitter has opened verified badges for all to prove your authenticity. You can get your Blue Verified Badge to your Twitter profile. This is a great opportunity for everyone who wants to get their Twitter Profiles Verified. You can easily apply for it now, no matter from which location you belong. So I recommend you to try out this method and see if you can get it. It has its advantages too. What is the Blue Verified Badge on Twitter? 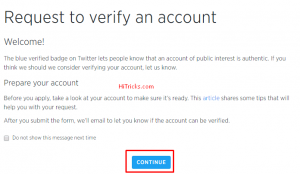 How to get yourself verified on Twitter? Who are eligible for getting verified badge? What are the necessary documents required to get verified? What to do in case you get rejected? So, keep reading the post to know everything. It’s a complete tutorial on verifying your Twitter Account. Let’s begin! Before I come to the tutorial, let’s know about the verified badge a bit. You must have seen the blue and gray verification ticks on Facebook Profile and Pages. They stand for ‘verified’ accounts. Now, what is a verified account? What does this ‘verified’ status signify actually? In simple words, it just means that the account is authentic and belongs to the real owner. Twitter has verified the identity of the owner and guarantees that the account is verified. So, the verified accounts get a blue tick after their profile name, to signify that their account is real and authentic. What is the Advantage of Getting Verified on Twitter? Well, having a Blue Verification Badge against your account is surely a significant advantage for the owner. Here I list the benefits you will be getting if your twitter account is verified. Nowadays there has been a trend of fake social media profiles all over the internet. If you are someone who gets attention from others, you will see that there are lots of other people by the same name. So if someone searches for you, they can get to you easily if they see the verified profile symbol against your account. 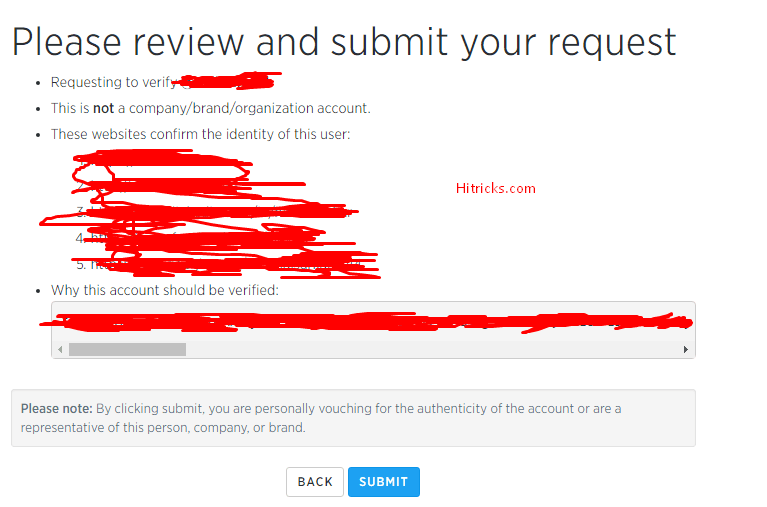 This is a good reason for verifying your account. Yeah, this is true too. If there are 100 people with the same name as yours, your name will show up at the top of search results if your profile is verified and someone searches for your name. Getting a Free Boost to the top is, of course, an advantage. Your account is verified. So you are special among the rest. This is bound to bring you a lot of followers on Twitter. So, as you can see, getting verified on Twitter is a win-win situation for both you and your followers. So, let’s get verified. 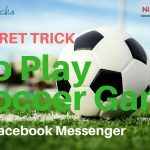 YOU MAY ALSO LIKE: Hexlock: How to Unlock Apps with Fingerprint Sensor? Who is Eligible for getting Verified? Now the big question comes after is who can get his profile verified? So anyone can opt for getting verified on twitter, as it is open for all. But everyone cannot get verified. This is because there are several guidelines on who can become verified. There is some eligibility criterion. If you are a celebrity or an actor, or a musician, or a politician, or a journalist, or a sportsperson, or a business person, etc., then you can surely apply for a verified Twitter Account. Even if you are not one of them, you can still apply if you think people knows you. I guess you got it now. So, to get verified on Twitter, there are some requirements to maintain. Tweets privacy set to public. Well, most of us already have it, but for representing your unique entity, you must appear professional. So, make sure you don’t leave out any attempt to look professional. If you are an individual, make sure your Twitter Name is the real name. Choose a professional @tweet name. Your Bio should not be a dull one. You should provide an attractive Bio. Your profile and header photos should be professional. Try to include something related to your brand as Header Photo. If you have a website, then add it up. But don’t add Blogspot blogs or social media profile links there, include your proper website link. Once you are convinced that your profile is all good and looking professional, proceed to request verification. How to Get Blue Verified Badge on Twitter? Let’s proceed to submit the request for verification. Before starting, make sure you are logged in to your Twitter Account. Else it will not detect your Twitter Id. Visit Twitter Account Verification Page Here. I will recommend that you, please read the lines over there. Then Click Continue. Now, if you are logged in to Twitter already, it will show your Twitter Username Over there. Click Next. If you run a business and want to appear as a company or a brand, then check the box at the bottom. 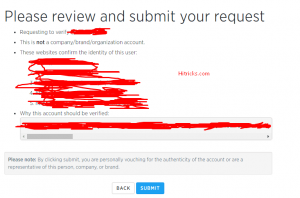 Now, you need to provide some website evidence for your verified profile. The simplest way to do that is to include the link to sites you run or you own. You can also add your social media profiles. I included the link to this website HiTricks.com, next I included my personal portfolio nirmalsarkar.com, and in the 3rd, 4th, and 5th link box, I added my LinkedIn, Facebook and Google Plus Profile Link. You can also do the same. Include your website at the top followed by your social profiles. Next, you need to write a short paragraph explaining why you need to verify your account? Here is the main thing. 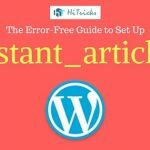 You need to write a compelling article so that they can proceed to make your account verified. Well, I can’t tell you what exactly I wrote there, but I am giving you some points you must follow while writing this paragraph. Ultimately this paragraph decides your fate. Make it right. Don’t write long sentences with difficult words. Write smartly with concise points. Highlight the fact who are you, and why are you important to people around. Why do you think your profile should be verified? Don’t include phrases like ‘please verify it’ or ‘i request you to verify’ etc. You should request them, but not directly. You should give them your identity and let them know that your account is of public interest and deserves verification. Don’t make it too long. Just include what you need to. Then period. In the description, don’t include the link to your blog / website. You can mention your blog or website name but don’t include the link with dot com or other TLD. On the next page, you will be asked to review your preferences. Kindly read them again. When you are done reading, click Submit. Please note that by clicking the Submit Button, you are accepting the responsibility of the information you submitted about you or your business. That’s all. Now you will see a Thank You page. Twitter has received your request to verify your profile. They will let you know about it very soon via Email. So keep checking your Mailbox for the next few days, you will get a reply from the twitter team with an update. What Legal Documents are required to Get Verified on Twitter? Well, sometimes for verification purpose, they may ask for your Identity Proof Documents in their email reply. You must provide a scanned copy of any one of the Government issued Identity Proofs (like Voter Id Card / PAN Card / Aadhar Card etc. They will verify it and let you know their decision. Well, depending on circumstances, sometimes your application may get rejected for verification. In that case, Twitter Support Team will let you know about it and give you the reasons why your account wasn’t verified. Can I re-apply if my application is rejected? Fortunately, Yes you definitely can. But, well, you need to wait for at least 30 days after the denial email before you re-apply. So, even if your application gets rejected, don’t worry, you always get a second chance to verify your account. So, that’s all. 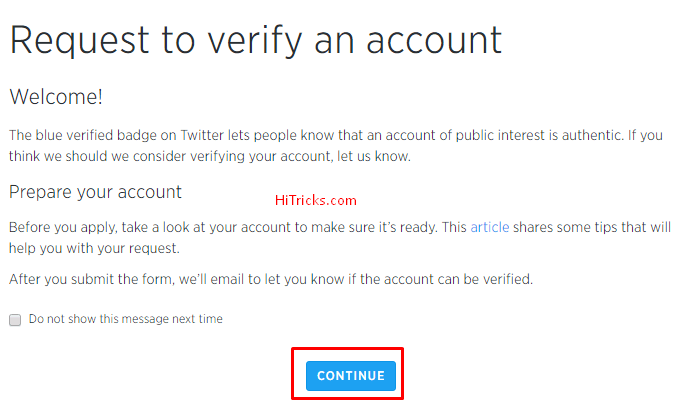 I have discussed step by step tutorial How to get blue verification badge against your Twitter Profile. Hope you were able to understand it completely. If you have further doubts, you can always comment down below. I will be happy to respond you back. I always wait for comments you know! I will always appreciate if you share this post with your friends on twitter and facebook. It will be very helpful for them. So, try your luck. I wish you get verified soon. That’s all for now. Thanks for reading my post. See you soon. Till then have a look at my other posts. I am sure you will enjoy them. Amazing Post! Lets try for Blue Badge! Thank you for the tips, I am nearing 18k followers on twitter, let’s see if I get any special treatment or not!